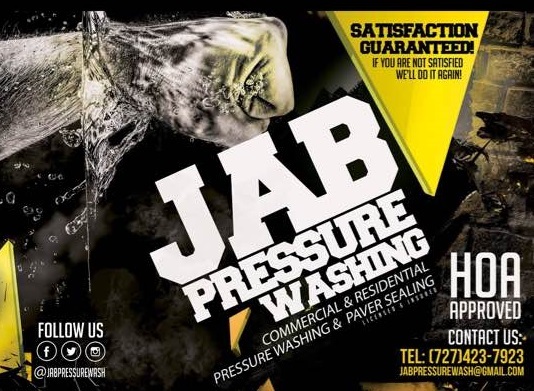 JAB Pressure Washing is the premier provider of pressure washing and paver sealing services in the Florida counties of Hillsborough, Pinellas, Pasco, Hernando, Polk, and Manatee. We specialize in large commercial projects and Home Owner Association (HOA) compliance, but bring the same level of care and detail to every property we service. Whether we are coming to your home or office building, our passion in keeping our community clean and vibrant comes with us.